Make notes and highlights in Kindle books - at your desk or on the move. Select APA, Harvard, or MLA citation styles. Additionally, Scannable Cite allows any citation style to be used from Zotero. Copy to your favourite writing or note-taking programs. For help with PDF articles, see our Zotero page. Register your Free account now! Note Hound App requires Chrome browser running on a  PC or  Mac *many (but not all) Kindle books have page numbers. 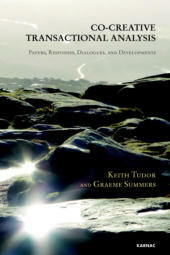 Note Hound was created by Graeme Summers to help write chapters for his book - co-authored with Keith Tudor. Graeme wanted to quote and reference his research more easily. This enabled him to get on with the real job of writing - developing and articulating ideas. Note Hound is now available as a Web application for PC and Mac users. It was launched in November 2015. Graeme is an author, executive coach and a web developer. He also loves dogs. Graeme is a guest Zotero trainer for UCL Institute of Education and is passionate about enabling people to develop through learning. Note Hound was originally designed to work exclusively with Zotero. Now, it can bring your Kindle notes and highlights to any reference manager, note program, text editor or word processor. However, if you do use Zotero, we have also published tweaked versions of the Zotfile plugin that will produce extracted highlights from pdf files using the same in-text citation formats that Note Hound creates for Kindle highlights. Details are here. 1. In Zotero, enter the print edition ISBN (presented by Note Hound) in “Add Item(s) by Identifier”. 2. Add a note to the new item. 3. Select “Copy as HTML” from Note Hound and paste into the new note. HTML image tags can be added to PDF sticky notes and will display as images upon “extraction” to a Zotero note. This means your Dropbox images can be viewed contextually within your extracted annotations. To do this: Drag the “link2image” link below to your desktop bookmarks bar (once only). 1. Right click an image in your Dropbox folder and select “Copy Dropbox link” 2. Click the “link2image” bookmark to convert this to an image tag. 3. Copy and paste the image tag to a sticky note in your PDF. Dropbox PNG image links can be added directly in Kindle notes and will similarly be displayed inline when extracted using Note Hound.